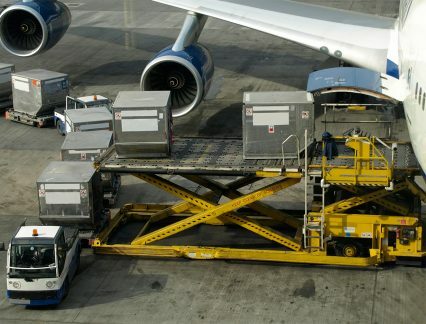 US Exim is set to offer an extra US$1bn in loss coverage for aircraft financing as part of a new reinsurance package. In announcing the programme, the export credit agency (ECA) says it has established the biggest public-private risk-sharing deal for a US government agency. Under the plan, US Exim will provide additional loss coverage for a considerable proportion of its existing large commercial aircraft financing transactions. The bank says it is taking advantage of the maximum allowable coverage permitted under its charter to protect US taxpayers from liability on potential future losses. Reinsurance intermediary Aon Benfield collaborated with US Exim to bring the project to completion. XL Catlin, Liberty Specialty Markets and Everest were among the 10 reinsurers that were involved in the arrangement. “We are excited to announce this historic arrangement with the private sector that protects Exim and safeguards US taxpayers’ interests without requiring additional funding,” says executive vice-president and COO Jeffrey Goettman, who serves as US Exim’s acting head of agency. Yet questions remain over the ability of the bank to support US exports. In 2015, it suffered five months of complete shutdown after Congress failed to vote on its reauthorisation. And although the bank was finally reauthorised in April 2016, Congress has since blocked the appointment of the third board member needed to complete its quorum. Transactions for financing of more than US$10mn have therefore not been considered for approval since July 2015. As a result, the bank’s trade finance support fell 97% in 2016. A US Exim spokesperson confirms to GTR that the new reinsurance programme is “currently effective and is protecting the US taxpayers from any default in the covered portfolio”, although US Exim’s day-to-day operations have stalled due to lack of quoracy on the board of directors. “In practice, this means that the bank has not authorised any long-term transactions since the end of June 2015,” the spokesperson says, but is “hopeful that the senate will act soon” so US Exim can return to full functionality. The bank’s pipeline of transactions awaiting board consideration is currently around US$44.5bn.